Bridge to Independence provides support for young people as they cross from foster care to adulthood. Young adults who join the program will have access to a dedicated Independence Coordinator who will provide advice, help access resources and help identify next steps to meeting the young adult's life goals; health care coverage if eligible for Medicaid or Affordable Care Act; and a monthly maintenance payment. EducationQuest Foundation is a nonprofit organization with a mission to improve access to higher education in Nebraska. This includes free college planning services, outreach services, need-based scholarship programs, and college access grants. EducationQuest has locations in Lincoln, Kearney, and Omaha, Nebraska. On-line resources for young adults, CASA volunteers and others working with older youth who are aging out of the system. Among many other resources find the Permanency Pact, a tool for youth to get pledges from supportive adults who will support them during the transition to independence. From supportive to permanent housing, to youth shelter, group home, teen outreach and other services are all available from the Community Action Partnership of Western Nebraska. Service area includes Scotts Bluff, Banner, Morrill, Garden, Kimball, Cheyenne, Deuel, Sioux, Dawes, Sheridan, and Box Butte counties. Young people who are aging out of foster care have the burden of finding the separate services they need and knitting them together into something that can support their immediate needs and help them work toward future successes. That’s where The HUB’s Central Access Navigator comes in. In partnership with Project Everlast, The HUB provides a Central Access Navigator to help young people determine what services they need, access those services, and ensure that they’re working together to provide a customized system of support. Connecting the voices of young people with foster care experience. The Project Everlast Councils create opportunities for youth in care and alumni to connect with each other and have fun together while providing input on program and policy issues. On the web-site connect with councils in Grand Island, Lincoln, Omaha, Norfolk, Fremont, Geneva, Kearney, Scottsbluff and North Platte. Get involved! Just send in a completed sign-up sheet and start receiving the latest Project Everlast Council information and meeting notifications. Job skills training and readiness program including on-line training are available. Utilize the Goodwill site or find your local Goodwill to contact for Adult Career, Project Employment Employability and Life Skills and other programs. The Omaha Goodwill has a number of programs at www.goodwillomaha.org. This site is a partnership with Nebraska Department of Labor, Education and Economic Development. It provides modules and information about being ready for a career after high school graduation. The Nebraska Standards for Career Ready Practice can be found on this page. It is a good checklist to use when preparing young adults for their future careers. Branching Out Independent Living Program assists youth aged 14 to 24 in making the transition from dependence towards living responsible lives. Jacob's Place Transitional Living Program is designed to assist young adults in making the transition from dependence to independence. 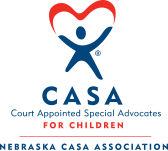 Youth who have a disability and are going to age out of Foster Care may now apply for Supplemental Security Income (SSI) through the Social Security Administration (SSA). Beginning August 1, 2016, foster youth can submit an application and get a disability determination 6 months before their expected discharge date, even if they do not yet meet the income eligibility requirements due to their foster care payments.